On Friday 12 October at 6 pm MOCAK and the quarterly Self-Portrait (published by the Małopolski Instytut Kultury) would like to invite you to a session themed on the changes which occur in the human body under the influence of new technologies. 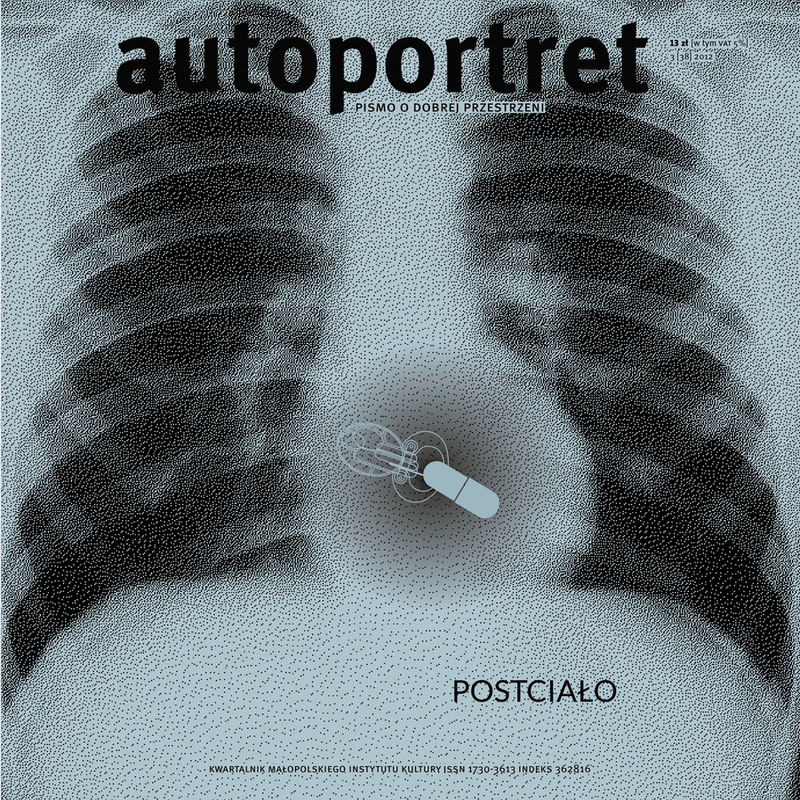 The event will accompany the publication of the new issue of the magazine, entitled Postciało (Post Body). The participants in the discussion will include Rossano Baronciani (Academy of Fine Arts, Urbino) and Emiliano Ranocchi (Self-Portrait).